Easy Lift Equipment manufactures the finest drum handling equipment available for all drum handling applications including; moving, lifting, and dumping drums. We also manufacture premium roll handling equipment designed for transporting rolls from pallets to converting machines. Our drum handling equipment provides ergonomic solutions to the problems incurred in drum handling operations: from the shipping dock door through production and packaging. We pride ourselves as being innovative in building roll and drum handling devices that our customers need and rely on daily to manufacture their products. Our premium drum handling equipment is not only the safest available but the most ergonomic and easiest to use by any operator. Our lineup of drum handling devices includes drum lifters, drum transporters, lift truck attachments, drum dumpers and drum haulers. Our assortment of roll handling equipment includes roll handlers, roll transporters, roll manipulators and roll haulers. Easy Lift’s drum handlers and other products are manufactured, powder coated for durability and assembled in Newark, DE implementing the highest quality control standards in the industry. All of our equipment undergoes a rigorous testing process before it leaves our facility to ensure it will meet and exceed our customers’ expectations in terms of quality and performance. 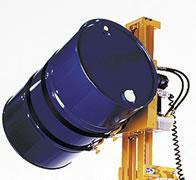 At Easy Lift Equipment, all of our drum handling equipment is built specifically for each customer’s application. At Easy Lift Equipment, we don’t believe a one-size-fits-all approach is the proper way to effectively serve the needs of our customers. We have produced equipment for a number of custom material handling applications over the years, and nearly all of our equipment can be modified, so please contact us with your custom requirements. Our goal is to provide a custom-tailored solution for your needs. Our sales team will be happy to work with you to find the most appropriate equipment solution for your company. 30-Day Free Trials are available on Eagle-Grip™ lift truck attachments and EasyLift Ergonomic Drum Transporters for in-plant evaluation. Other products are available on a 30-day paid trial toward purchase program. Trial costs are applied to the purchase price if the equipment is purchased immediately after the trial period. Customers are responsible for all freight charges to and from the trial location. Trials are not available for custom equipment. 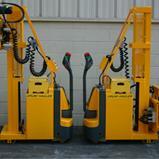 Please contact us or your local material handling dealer for additional information. Easy Lift Equipment has been providing cost-effective, ergonomic solutions for the material handling needs of companies of all sizes, industries and countries for more than three decades. We would love to provide the same assistance to your company as well. 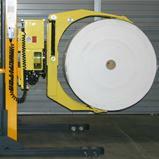 Contact us to learn more about our drum handlers and other material handling equipment today! Easy Lift Equipment Co., Inc.